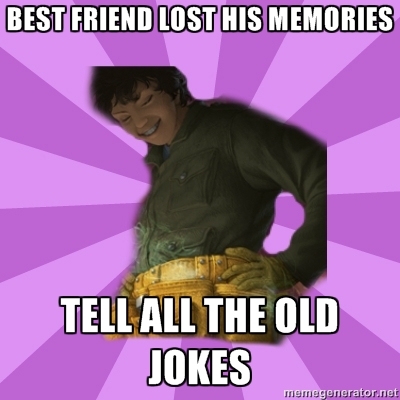 Leo and his jokes... (Meme). . Wallpaper and background images in the The Heroes of Olympus club tagged: the heroes of olympus the lost hero jason leo funny fanart meme joke jokes memory. This The Heroes of Olympus fan art might contain parasol, zonnescherm, teken, poster, tekst, bord, and schoolbord. LOL, that's Leo for ya!